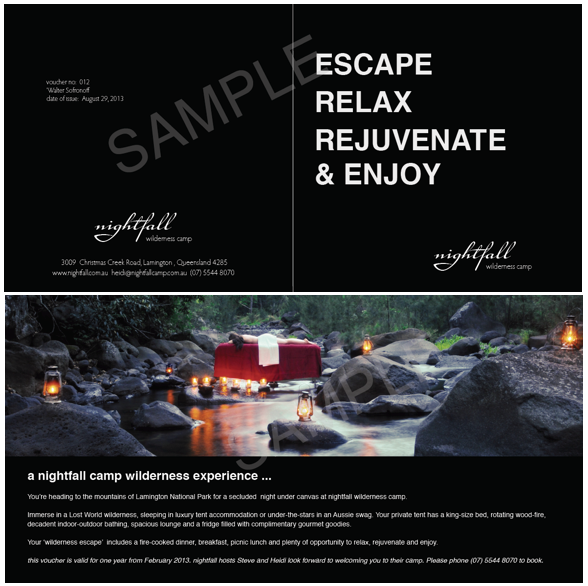 Did you know Nightfall does gift vouchers? They’ve been going like hotcakes for the last few weeks. Presented as a square card, they’re impressive to receive in the mail. 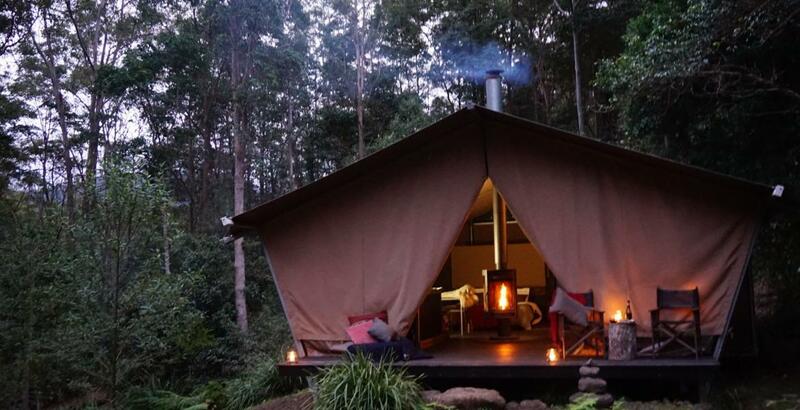 Try our wilderness immersion experience, our wildly romantic retreat or just a night away. All vouchers are valid for a year from the date they’re issued. There is still time to email a copy to put under the tree or if you contact us today, we can deliver to Brisbane on Monday December 23. Phone Heidi on (07) 5544 8070 to order yours.